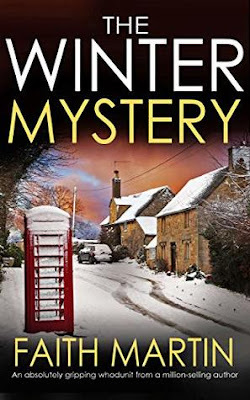 This is the winter themed book that caught my eye and prompted me to read this series, to begin with, and it delivered on all the Christmas & snow promise. 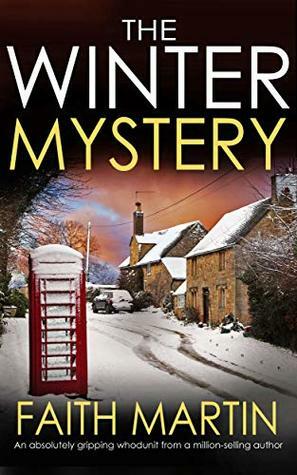 It's the second in the Jenny Starling series and once again the reluctant sleuth has landed in another murder investigation in between cooking delicious meals over a fortnight at Christmas time. The Keltons of Kelton Farm are under a lot of strain and don't have much Christmas spirit to go around due in large part to Stan Kelton. He is the surly, mean and bully head of the family. The rest of the family is cowed by him and so it seems is most of the surrounding village. Even the family sheepdog, Pooch, is terrified of the tyrant. Jenny steps into the frame and notices all the dysfunction and by Christmas Eve, one of the family is dead. I'm not telling who but it makes for an interesting mystery to be unwound. The investigators, in this case, have already heard of Jenny and her reception is met with positivity this time around which added to the novelty. It'd be boring if she were met in each instance with law officials who either suspect her or are outright rude thinking she would push in on their investigations. I also liked that we find this story takes place a year after the mystery in the first book. It makes me wonder about all her jobs in the interim. At least there aren't murders at every place she has worked. But back to the story, there are many things that come out about the family and funnily enough, a big clue hinges on the state of a floor at an important moment. As with the first book, the Who is something a reader can work out easily enough but Why is where the real fun of the mystery is to be had. How in this instance wasn't as intricate as the first book but the logistics of it weren't readily apparent early on. Of course, it is all resolved in the end and Jenny is off to wherever her next job takes her. I finished hoping she got that steady gig at the college in Oxford. Unfortunately, Jenny's still doing enough sighing to make me think she needs an asthma check. The Junoesque mentions seemed toned down but it's really not necessary that every person she comes into contact with initially react as though she's the largest human being they've ever come across. She's like, Elle McPherson height so... yeah, not a freak of nature. I keep thinking she has a body type like Gwendoline Christie (Brienne of Game of Thrones) with the height and shape mentions and still no carnival attraction to garner such shock and awe from... everyone. I keep hoping there'll be a man who'll cross her path that isn't surprised to find her attractive. Also there were a few weird questions by Jenny that seemed strange as they seemed to only take into account the necessities of the men of the household (ex. "When last did the men have a hot meal?") as if the women of the household either don't eat or it doesn't matter if they have hot food or not. I don't know, it just seemed an odd thing to ask given it wasn't solely a household of men. My raised eyebrow moments aside, I did enjoy this and do look forward to the next in the series. Summary: Jenny Starling is spending Christmas in a snowed-in country house cooking all the traditional food she loves. But the family she’s working for are not full of the seasonal spirit. In fact, they seem to hate each other.